•Print directly onto the disc. •Use for data storage and movies. 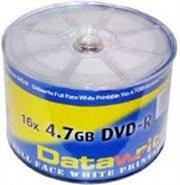 • Recordable Format “Write Once” format—may not be altered once data is written to the disc. The PrinQ DataBank 16GB Class 4 Micro SD with Adaptor is also referred to as TF card is perfect for storing your videos, pictures, music and data files from your Mobile phone it even allows you to expand the storage capacity on your Tablet PC to download more applications from the Application Market Place. The PrinQ 16GB Micro SD Flash memory with FAT32 file format can also be used on compatible handheld GPS systems, portable audio players such MP3/4 players , flashcards for Nintendo DS R4 cards (or similar devices) it is enough memory for storing hundreds of photos and audio, and hours of video. The high performance memory and ensures that your data is retained for up to 10 years. The PrinQ DataBank 4GB Class 4 Micro SD with Adaptor is also referred to as TF card is perfect for storing your videos, pictures, music and data files from your Mobile phone it even allows you to expand the storage capacity on your Tablet PC to download more applications from the Application Market Place. The PrinQ 4GB Micro SD Flash memory with FAT32 file format can also be used on compatible handheld GPS systems, portable audio players such MP3/4 players , flashcards for Nintendo DS R4 cards (or similar devices) it is enough memory for storing hundreds of photos and audio, and hours of video. The high performance memory and ensures that your data is retained for up to 10 years. The PrinQ DataBank 8GB Class 4 Micro SD with Adaptor is also referred to as TF card is perfect for storing your videos, pictures, music and data files from your Mobile phone it even allows you to expand the storage capacity on your Tablet PC to download more applications from the Application Market Place. The PrinQ 8GB Micro SD Flash memory with FAT32 file format can also be used on compatible handheld GPS systems, portable audio players such MP3/4 players , flashcards for Nintendo DS R4 cards (or similar devices) it is enough memory for storing hundreds of photos and audio, and hours of video. The high performance memory and ensures that your data is retained for up to 10 years.